Fiat Chrysler Automobiles is on the defensive after the U.S. Environmental Protection Agency accused the automaker of using software that allowed excess diesel emissions in about 104,000 vehicles. Shares of the automaker’s stock fell as much as 19% Thursday. The automaker's stock was briefly halted after the EPA made the announcement. The stock later recovered some of those losses and ended the day about 10% lower. The agency alleges that Fiat Chrysler violated the Clean Air Act by installing and failing to disclose "engine management software in light-duty model year 2014, 2015 and 2016 Jeep Grand Cherokees and Dodge Ram 1500 trucks with 3.0-liter diesel engines sold in the United States.” The company could be liable for civil penalties and injunctive relief for the alleged violations, the EPA said. It said it is also investigating whether the auxiliary emission control devices constitute "defeat devices," which are illegal. Those are the devices that got Volkswagen in trouble. FCA CEO Sergio Marchionne forcefully disputed the allegations, saying he fears the company will be unfairly compared to Volkswagen and its massive emissions scandal. FCA's violations as outlined by the EPA involve about 104,000 vehicles, compared with Volkswagen's more than half a million vehicles. During a news conference, Marchionne called the allegations from the U.S. Environmental Protection Agency "unadulterated hogwash" and "absolute nonsense.” Marchionne said he "has no doubts" that the EPA issue will cut into sales of affected vehicles in the United States. He said the EPA could have resolved the issue with the automaker without public announcement. 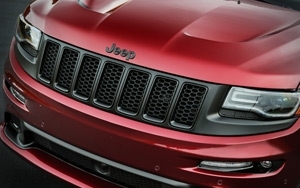 "FCA US looks forward to the opportunity to meet with the EPA's enforcement division and representatives of the new administration to demonstrate that FCA US's emissions control strategies are properly justified and thus are not 'defeat devices' under applicable regulations and to resolve this matter expeditiously,” the automaker said in a statement after the allegations. Even if the automaker is found to be compliant, there are bound to be ramifications from these accusations. It’s likely that the VW’s Dieselgate prompted the agency to take a closer look at other automakers, adds Michelle Krebs, senior analyst for Autotrader.